America’s energy industry is roaring, and the President is taking note. 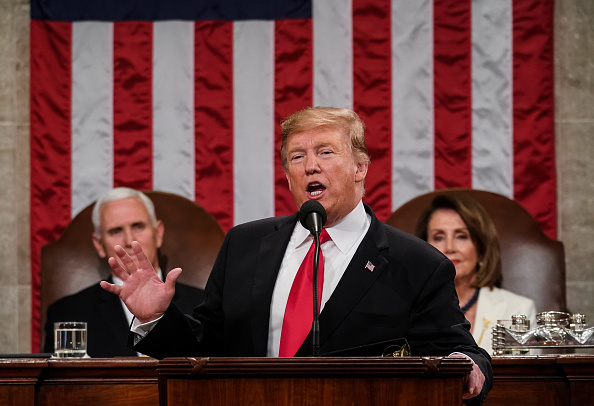 During his State of the Union speech last night, President Trump touted America’s newfound energy dominance, highlighting how we are now the top producer of oil and natural gas. “Now, for the first time in 65 years, we are a net exporter of energy,” he added. There’s a reason this energy revolution is happening now with President Trump in charge – unlike the previous administration, Trump has been a proponent, not an impediment, to energy development and exploration. The President has worked to loosen burdensome regulations, open up ANWR and protect industries that have fallen on hard times, such as coal. President Trump understands that the energy industry and the workers that power it are the lifeblood of this country, and we greatly appreciate that the President took time from his speech to recognize their accomplishments. Finally, America’s energy workers are getting the credit they deserve.